This building is 3.6m wide x 2.4m deep plus a 1.2m front verandah. 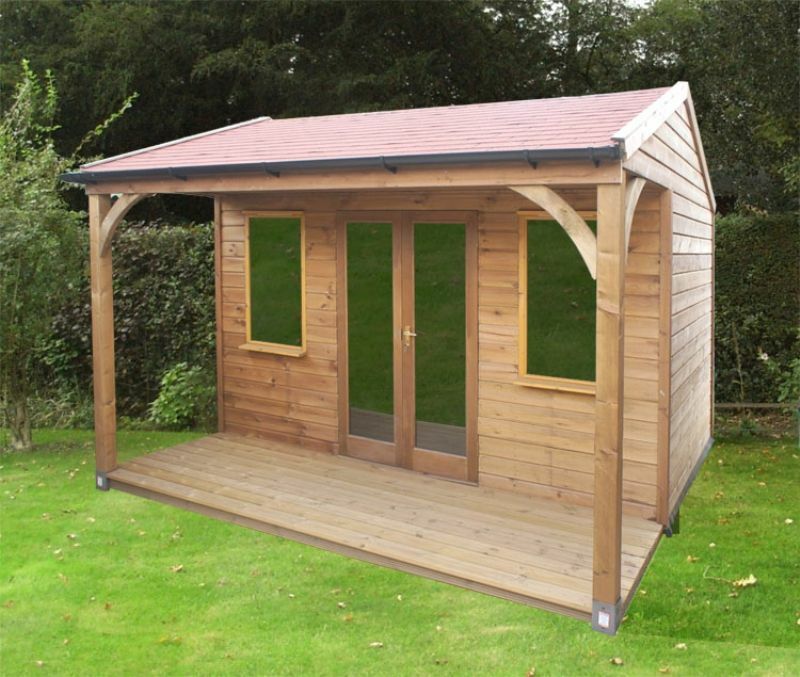 Includes two fixed windows, 0.631m wide x 1.2m high and a set of glazed double doors, 1.2m wide. We also supplied and installed the decking on the verandah. Inside we installed a timber floor throughout. The roof is red felt shingle.